In the past few years, I have also worked as a consultant and as a graduate assistant to Prof. Carol Schwalbe in her advanced multimedia storytelling, magazine photography, and science journalism classes. My main duties included conceptualizing, developing, executing and facilitating visual-storytelling workshops. These included inviting speakers into the classroom and onto the field to help students refine their visual skills. 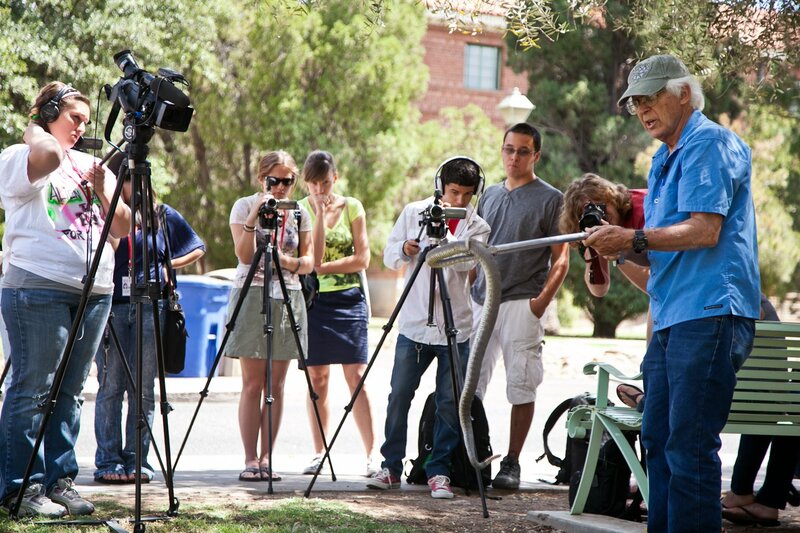 In this image, Rogelio Garcia, (not pictured) a veteran documentarian and former news photographer from local news and Arizona Public Media, took our students out to do a short educational video on a Reptile Safety Handling training for college students. 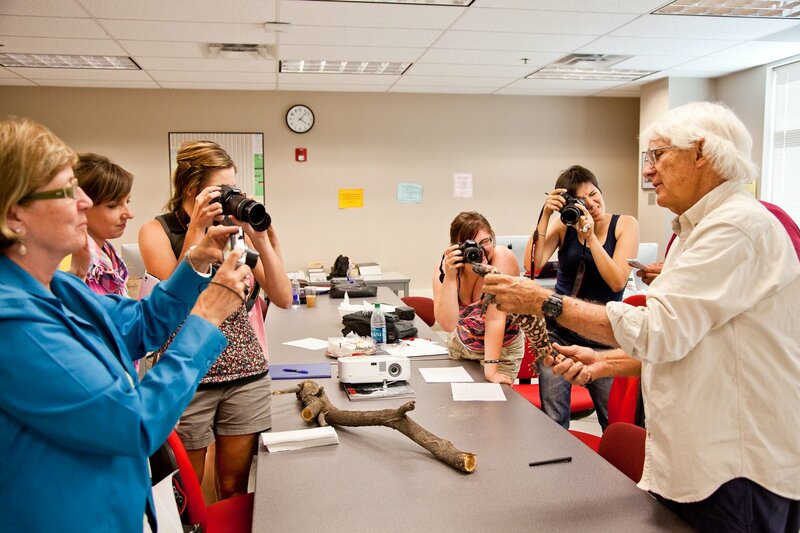 The presentation was given by Dr. Cecil Schwalbe, Arizona’s first state herpetologist and a former wildlife consultant with National Geographic Society. 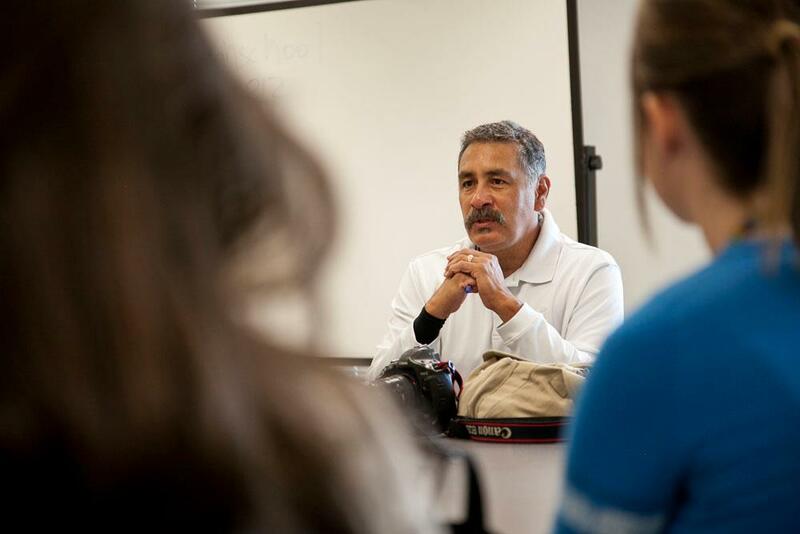 Alfredo “A.E.” Araiza, a local multi-award-winning photojournalist, speaks to students about his experiences as a photographer and later reviewed portfolios and worked with students on a photography “field trip” across campus.